In Gear! 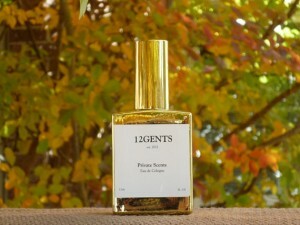 12Gents Handmade Cologne Home | About Us | Opportunities | Sponsorships | Contact Us! 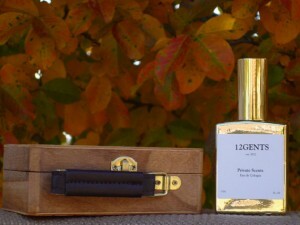 This week we had the sheer pleasure of experiencing five scents from 12Gents. It’s rare that an artisan cologne captures classic masculine fragrances and a distinct hand-crafted depth, but 12Gents pulled it off! Many men are surprised at the difference between manufactured cologne scents and handmade cologne that is created in small batches. The difference is drastic, and the quality, complexity of scent, and attention you’ll get when wearing it simply can’t be matched! 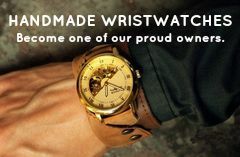 Read on to meet 5 amazing handmade fragrances and discover why 12Gents is one of our favorite shops on Etsy! The products from 12Gents are made by hand in small batches using complex yet direct scent synergy that any man will feel comfortable with. The difference between artisan fragrance and mass-produced cologne is dedication and quality. When you support small batch artisans, you end up with ingredients that can’t be beat and a passion for perfection that is incomparable. 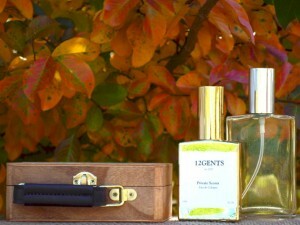 Men’s Handmade cologne fuses attractive fragrance in classic and progressive styles with the beauty of artisan work. Here’s our review of the 5 main handmade cologne options available right now from 12Gents… we really wish the internet carried scent! This cologne is clean, magnetic, and earthy. There are light tones of marine, orange flower, and rose that linger over masculine notes of cedarwood, leather, musk, and amberwood. 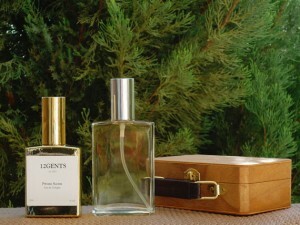 This is a mature scent that is also light enough for those with a more adventurous style. One of our favorites, Le Beau is tobacco and teakwood without the weight. This light and energetic handmade cologne is enlivening and energetic while maintaining a deeply masculine presence. Traditional cypress meets pine and citrus for a fusion that will turn heads! Another one of our favorite artisan colognes from 12Gents, this fragrance has a personality and attitude that we feel would work perfectly for a man of any age or style. Clean, invigorating, and fresh, this cologne stands out in a crowd. There’s a magnetic quality to this handmade cologne that we feel comes from the presence of classic, modern, light, and grounded scents all at once. It seems to attract the attention of people with all tastes, and the longevity is astounding. Bordering on sensual, this deeply masculine scent is reminiscent of classic bay rum with more depth and personality. Spice, heat, and energy are all present in this one-of-a-kind handmade men’s cologne, and it will be well received by the man who enjoys those tastes in life. As if the cologne wasn’t enough, 12Gents proffers an amazing selection of classic shaving oils with a progressive style, pre-shave face wash, shaving soap, and shaving gear. 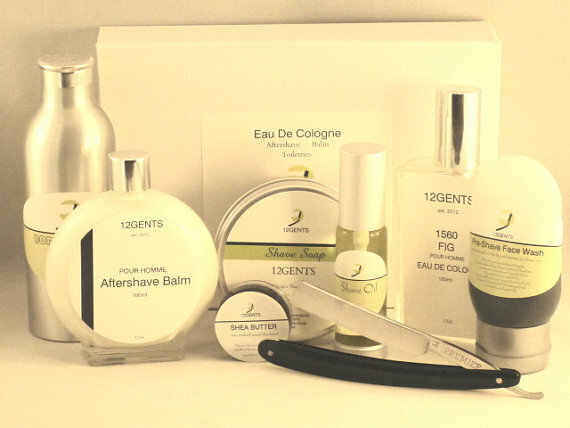 This is truly a one stop shop for the man of discerning quality who wants his fragrance to be one-of-a-kind and his shaving products to be artisan quality. Tagged 12Gents, Artisan Cologne, etsy, Handmade Cologne, Shave Soap, Shaving Oil, shaving soap. Bookmark the permalink.